29886 Vacheron Constantin 39007, 18K yellow gold case, 18k yellow gold integrated mesh bracelet, cal.1015 manual wind movement, 20 jewels, white dial with Arabic numerals, snap on caseback, size: 28mm x 32mm, thickness: 6mm, excellent condition with European Watch Company box and warranty card. This is a vintage 1970's 18k yellow gold Vacheron Constantin 39007. It has an integral 18k yellow gold mesh bracelet with a Vacheron Maltese cross clasp, and a scratch resistant sapphire crystal. It has a pull out winding crown, and a solid snap on case back with a serial number. The 28mm x 32mm rectangular tonneau solid two-body case, hooded lugs, and rounded bezel, are polished/brushed. 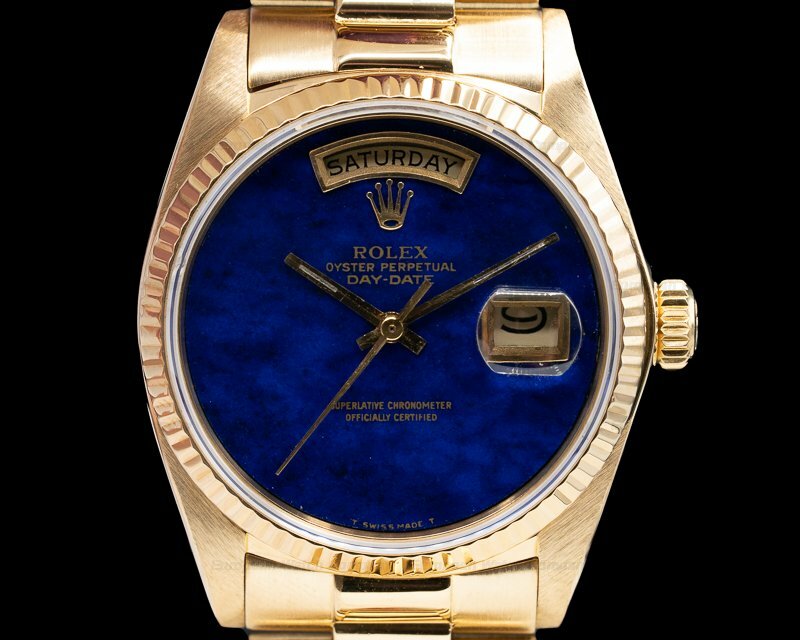 The dial is white with black Roman numeral hour markers, blued dauphine hands, and there is an applied gold Vacheron cross underneath the 12 o'clock position. This Vacheron Constantin 39007 has a mechanical manual winding Vacheron Constantin caliber 1015 (based o the Jaeger-LeCoultre ebauche) movement. It's rhodium plated, and it's constructed with 20 jewels, and a Glucydur monometallic balance that's adjusted for heat, cold, isochronism, and 5 positions. It has a KIF Elastor BS shock absorber, and the mechanism oscillates at a frequency of 21,600 vph (3 Hz). 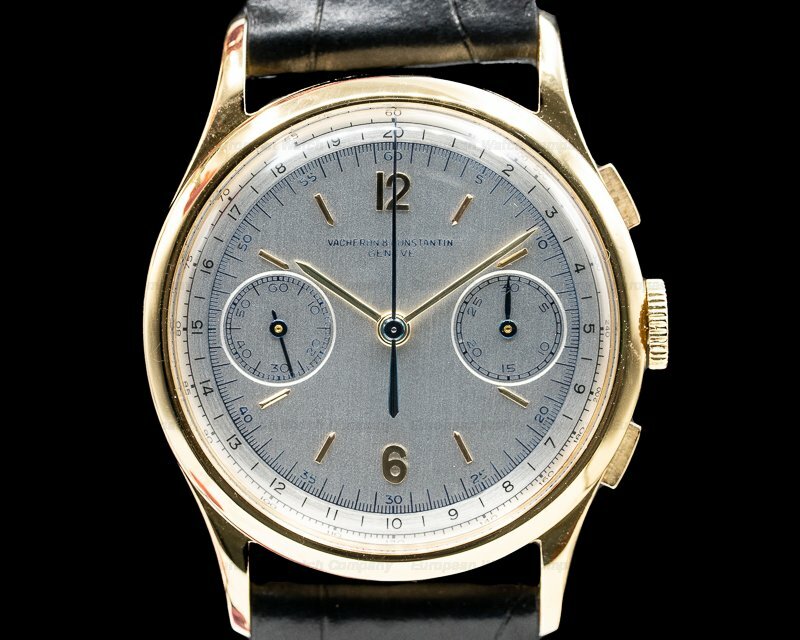 This Vacheron Constantin 39007 was introduced in the 1970's.